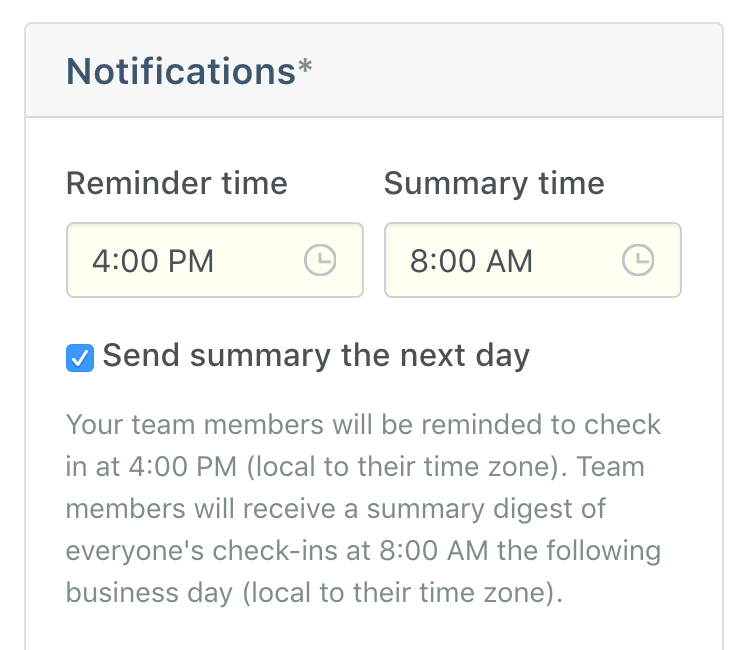 Many of our users are on teams that are distributed across multiple time zones. This means we get asked a lot what type of team setup we recommend for that situation. The end of day check-in combined with the next day summary report ensures that people are always getting the most up-to-date information of what work has been done and where people are blocked.